The Jillybean strain is one of those easy-going, easy-flowing citrusy-flavored weed strains that will make you happy and giggly all the way. However, it cannot be compared to all the other fruity strains because of its unique distinctive sweet-meets-bitter citrus flavor. However, the Jillybean strain isn’t only getting love by recreational smokers with a sweet tooth, but also gets a hearty endorsement for patients seeking a relaxing yet mentally active experience. This is due to its potent effects which produce not too potent high at the end which make the Jillybean strain the perfect choice for a relaxing day of sedentary work or unwinding in the evening after the long and stressful day of work. The Jillybean strain is an example of a strain that has plenty of aroma and flavor but it also compensates on the other side with its beneficial properties that make for a wonderful combination. The strain is bred by crossing the Orange Velvet (or the Orange Skunk) and Space Queen which leads to its deep hues of maroon on the leaves but also to the fact that it’s an upbeat and happy hybrid. Among the weed lovers, the Jillybean strain accounts for the top choice when one wants to induce their creative mind and social butterflies. It brings a nice euphoria during daytime hours that comes pleasantly through its flavors of tangy orange and mango. The Jillybean strain is one that has indica as its dominant part and it comes from TGA Subcool Seeds from a grower named Jill. The effects of the Jillybean strain are somewhat a cerebral stimulation than most of the Indica-dominant strains out there, but it still retains some bodily effects when smoked. Medical effects of the Jillybean via leafly. Initially, with a THC count of up to 18%, after a couple of hits, you feel a pleasant rush of happiness and euphoria that fills your body sets your mood up high. In the body, you feel a mild and soothing high that stimulates you having all the giddiness and giggles, especially if you are a somewhat inexperienced weed lover. On the other hand, if you are more experienced you will feel the Jillybean strain effects as a boost to socialize and be creative. However, the effects’ list wouldn’t be complete without the negative ones that can be felt when smoking the Jillybean strain. They include the cottonmouth and dry eyes that most of the strains induce no matter how experienced or inexperienced you are, followed by redness of the eyes that also appears along with paranoia, headaches and even dizziness to some inexperienced smokers. It takes some getting used to it all, but once you do, the Jillybean strain will not leave your site. The Jilly bean side effects via leafly. It’s worth noting that the effects of the Jillybean are felt quickly and are pretty strong, however, people don’t feel the racing-mind state or the anxiety or paranoia as with some other strains. Basically, you are feeling at-ease the entire time, and mentally-wise you are pretty energized. Physically, on the other hand, you feel an increased eye pressure and some nice fluttery feeling in the chest. All in all, with its relaxing properties, is much rather preferred for a relaxation and unwinding than anything else. When the feeling of it starts to wear off you will ready for a good night’s sleep. This is why patients struggling with stress, insomnia, lack of focus, ADHD/ADD and just anyone who wants to get some relief, all use the Jillybean strain. At first, you can confuse the Jillybean’s fragrance for mold or mildew. Also, you will be deceived by the cool combo of citrus, tropical, sweet and bitter all mixed together, and if you are first starting out, you might feel as if you are smoking weed with some mold on it. However, when you get used to it, you will start noticing all its intricate combination of tropical fruitiness together with hay and earth prevailing over. 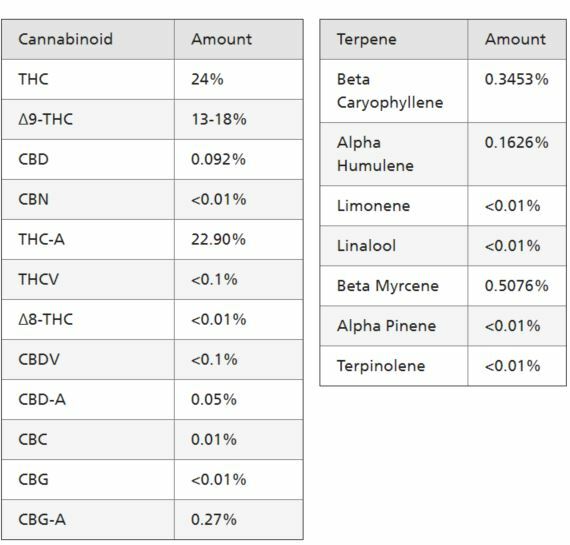 Overall effects of the Jillybean via leafly. The Jillybean is actually suitable to be smoked at any time of the day because of the variety of feelings you can get from it. Especially if you are experienced and know how to control the feelings, you will find its mood-elevating and energizing effects very helpful when dealing with stress, anxiety, and depression. But also a lack of motivation and creativity can be aided by it. So, before starting work, or when you have a brainstorming on your projects, or when you simply want to unwind and finish the day in a good mood, the Jillybean strain is there to support you. Billy Jean may not be your lover, but with all its beneficial effects, the Jillybean strain will certainly become one. When taken recreationally, the Jillybean is suitable to be used by anyone. However, when patients want to take this strain for their health conditions the story changes a bit. Namely, this strain is a good choice for those who suffer from depression, mood swings and are mostly feeling under the weather constantly. Body-wise, this strain can be used when one is dealing with a lot of aches and pains, whether they are temporary like menstrual cramps/pain or injury from a workout, or even for muscle spasms. Those who have migraines or insomnia should also try this fruity strain. However, due to its mild effects, the Jillybean stain isn’t so effective when it comes to severe and chronic pain. Can you grow the Jillybean stain at home? Yes, you can and the strain doesn’t demand any complicated growing methods. It can be grown both indoors and out and it is suitable for the Sea of Green and Screen of Green growing methods. The strain requires topping only once in order to bloom into a pretty little bush. You can expect flowering at eight to nine weeks and it yields a nice 300 grams per square meter.